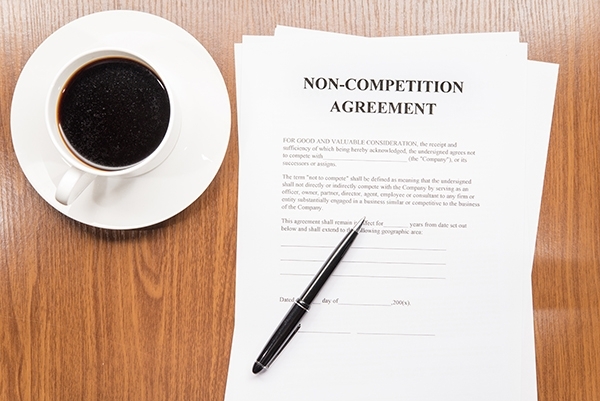 Are Employee Non-Solicitation Clauses Still Legal In California? The Fourth District Court of Appeals in San Diego on November 1, 2018, issued AMN Healthcare Inc. v. Aya Healthcare Services Inc., in which it called into question the continuing viability in California of employee non-solicitation clauses found in many employment contracts and proprietary information, invention assignment, and confidentiality agreements. This was a question that had been left open in Edwards v. Arthur Anderson (2000) 44 Cal. 4th 937, the California Supreme Court decision that had swept away any judicially created “narrow restraint” exceptions to California’s Business and Professions Code § 16600’s basic dictate that all non-competition provisions in employee contracts are void. Edwards confirmed that the only exception to Section 16600 are the narrow exceptions under § 16601 (sale of goodwill of a business), § 16602 (dissolution of a partnership), and § 16602.5 (dissolution of LLC or termination of LLC interest). Edwards did not address employee non-solicitation agreements because they were not before the court. Accordingly, employee non-solicitation agreements were still generally understood to be enforceable in California under Loral Corp. v. Moyes (1985) 174 Cal.App.3d 268, which had not been overturned by Edwards. While based on a unique factual record, AMN Healthcare nonetheless questioned whether Moyes was reliable authority to support employee non-solicitation agreements in light of the California Supreme Court’s decision in Edwards. AMN Healthcare, Inc. and Aya Healthcare Services, Inc. are competing providers of healthcare professionals, in particular travel nurses, to medical care facilities throughout the country. The individual defendants were travel nurse recruiters who had left AMN to join Aya. The individual defendants had signed confidentiality and non-disclosure agreements that included provisions preventing them from “soliciting any employee of AMN to leave the service of AMN for at least a one year period.” It was undisputed that the travel nurses were employees of AMN while on temporary assignment to hospitals around the country. The individual defendants left AMN to work for Aya, performing the same recruiting duties they had for AMN. AMN then filed a complaint against Aya and seven individual defendants alleging a number of different theories, including violation of their employee non-solicitation agreements. Aya and the individual defendants claimed the employee non-solicitation clause was an unenforceable restraint of trade under section 16600 and thus was void. AMN filed a summary judgment motion arguing that the employee non-solicitation provision was valid under the Loral Corp. v. Moyes case. The trial court ruled that the non-solicitation of employees provision violated section 16600 because it prevented individual defendants from engaging in their lawful trade or profession – soliciting and recruiting travel nurses on temporary assignments with AMN – for at least one year post termination, making it essentially a non-competition clause. The facts in AMN Healthcare are arguably unique and some may say could have led to a narrower ruling from the appeals court. As recruiters, the employees’ actual jobs were to solicit employees and other persons for employment with the particular hospitals served by their employer. The appeals court also pointed out that travel nurses generally work a 13-week schedule and thus, with a one-year non-solicitation agreement, there were four periods of 13 weeks during which the recruiters working for the new recruiting company would not be able to contact certain employees. This is distinguishable from the executive in the Moyes case, who moved to another company as an executive subject to an agreement prohibiting him from soliciting employees from his former employer. The executive in Moyes was still able to pursue his occupation as an executive even with the employee nonsolicit, whereas the nonsolicit provisions for the travel nurse recruiters in AMN Healthcare precluded them from doing the essence of their job. Of course, this is, from the court’s perspective, exactly what B&P § 16600 and Edwards say is unlawful in California. Thus, as noted above, the appeals court could have limited its decision to the individual facts of this case since the employee non-solicitation clause restricted the individual defendants from pursuing the core of their employment, unlike the executive in Moyes, who just couldn’t solicit former employees but could do his job as an executive. However, the court did not do this. Some may say it was dicta, but others may argue that the discussion and reasoning in the case should apply to all employee non-solicitation agreements found in employment agreements and proprietary information and confidentiality agreements, even where the employee is still able to perform his or her new position. AMN Healthcare is not necessarily final. The case was only recently issued, and a request for reconsideration could be made to the appeals court or a petition for review to the California Supreme Court could be filed. Another possibility is that the case will be “depublished,” which would limit the decision to the individual parties in the case without precedential value to attack employee non-solicitation clauses in other cases. Given the lack of finality and the peculiar facts in AMN Healthcare, it may be premature to predict the ultimate impact of the case. Even if the decision stands as written, the case law must further develop to determine whether the Moyes decision has been definitively overruled or limited to the unique circumstances of AMN Healthcare. The AMN Healthcare court simply said that after Edwards, it was hard to see how Moyes was still “viable.” The California Supreme Court may accept the case to determine if employee non-solicitation clauses are still legal in California under B&P § 16600. Such action would remove any precedential value of AMN Healthcare pending review. Thus, Moyes would remain an authoritative case for employee non-solicitation clauses until the California Supreme Court rules.